Sullivan’s Island, located on an island in South Carolina, is a travel destination worth exploring! It’s a cute, historical town with a lot of significance. A major American Revolution battle was fought on the island, at the famous Fort Sullivan. The fort, which now carries the name Moultrie, is located in an incredibly strategic position. It’s main purpose was to defend the harbor, and the views from the fort are some of the best you will see in all of South Carolina! Greater Charleston and Charleston Battery are a perfect combination for a romantic landscape, especially at sunset. The famous palms that conceal the fort are the symbols used as inspiration for the flag of South Carolina. The island is also known as O’Sullivan’s in reference to the captain Florence O’Sullivan who was the lighthouse keeper in the 17th century. Before that, he was captain of one of the English ships that landed in Charleston. There’s also a modern lighthouse that has become the contemporary landmark of Sullivan’s Island. Another great building to see, dating from the 19th century, is the Stella Maris Church. It was built after the previous temple was torn down, and it was the only standing structure left after the Civil War. Other historical sites are Thomson Battery, Gadsden Battery and the Moutrieville Historic District. Sullivan’s Island is also known for being the biggest port used during the slave trade in the British North American Colonies. It is believed that half of all the ancestors of African Americans have passed through here. Sullivan’s Island offers great beaches with white sand, amazing options for wind-boarding, kite flying and perfect, sunny weather. 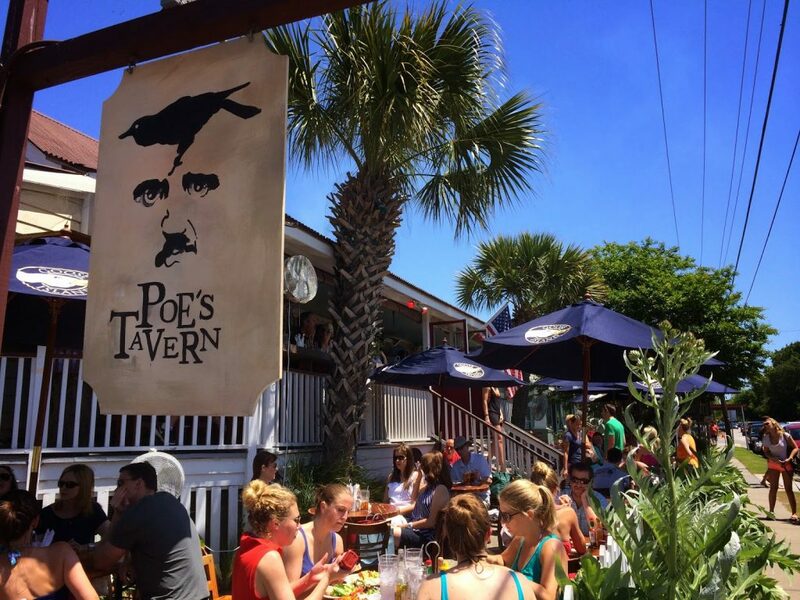 Even the famous writer Edgar Allan Poe was enchanted by the unique atmosphere of Sullivan’s Island and he has mentioned several times in his works. Discover all the history and romance hidden on Sullivan’s Island! Book a Sullivan’s Island Florida vacation rental! Click on the property below and vacation in style!